Pfizer has launched an industry-wide initiative to develop open IT interfaces for PAT, and diminished profitability this year has only underscored the importance of the companys PAT efforts, says PAT leader Steve Hammond. In this interview, he also talks about new training initiatives and shares his view of the future. Pharmaceutical Manufacturing recently touched base with Steve Hammond, leader of Pfizers Process Analytical Support Group, and Pfizers control and IT experts Velumani Pillai and Martin Warman about the companys Open PAT initiative and how pharmaceutical PAT is taking shape within the industry in general. Heres what they had to say. P.M.: Pfizer has recently proposed an open IT interface for PAT. How has the pharmaceutical community received that initiative so far? S.H. : Its been received well. People understand the strategy of putting together a common commodity software for PAT. They also realize that, if this software is to succeed, it will need more than just a Pfizer, a GSK, or a Merck to use it. Having a common software for PAT across the industry that meets the FDA teams needs, will be good for everyone. The greatest benefit will be lower costs, especially costs for maintenance, which can be horrific if you have software custom-written for one company. P.M.: When did Pfizer first begin to work on standardizing IT interfaces for PAT? V.P. : Pfizer began working on standard software two years ago. We also formalized requirements and presented them to IFPATma and other end-user groups. The response from the supplier community has been encouraging so far. Meanwhile, our peers in the user community see the benefit in identifying common language, common functions, data standards and exchange protocols. The idea of plug and play for PAT may still be in its infancy, but the concept is achievable if end users and suppliers work together. P.M.: What are the most glaring missing links on the IT side right now? What are the components required and how should they fit together? M.W. : PAT articulates three paradigms of use  namely, monitoring, control and optimization. PAT measurement applications are in different stages of maturity. The major problem right now is that the functions required to realize immediate value from PAT paradigms havent been clearly articulated. Once these functions have been articulated, the second major challenge will be introducing them into existing IT systems and infrastructures without changing those infrastructures. Pfizer believes that the functions related to any PAT measurement should be bundled and available as a commodity so that PAT can deliver value in a stand-alone mode or work with any existing infrastructure. P.M.: As you develop concepts for a standard user interface that would facilitate the development of off-the-shelf software, how will you guarantee that there will be one basic template, rather than a proliferation of different ones, with each drug manufacturer developing its own flavor (which would complicate things for vendors and could slow the effort)? V.P. : If the functions are defined, and common, Pfizer hopes that market-based standard offerings will emerge. We also believe that our peers in the industry are looking to embrace standard data definitions to exchange information across different components. In short, we believe the common PAT software will eventually be a new market, and deliver value in much the same way as SCADA and S-88-aware Batch Control Systems are today. P.M.: Isnt the ASTM E-55 committee including software standards development within the scope of its work on PAT? If there is overlap between what you and E-55 are doing, how will Pfizer's efforts dovetail with ASTM's? M.W. : Yes, there definitely are some parallel activities. We believe that the key is for end users to establish common working practices that can then become standards, rather than establishing standards which end users have to follow. Once best practices are established, they should be formalized via ASTM. P.M.: Getting top-level management support for PAT is a problem that Pfizer hasnt really had, but a lot of manufacturers are wrestling with right now. What suggestions do you have in this regard? S.H. 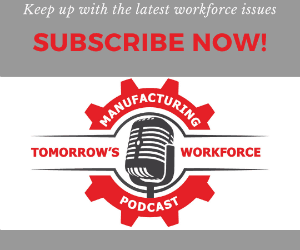 : Weve been lucky to have leaders who believe that you should question the status quo in manufacturing, and that the recent philosophies coming from the FDA have some credence. striving for zero defects by removing variability from the process. P.M.: What special training do you offer to Pfizers staff, and are you working with any universities on training programs? S.H. : We are active in both areas. Internally, we organize company-wide training meetings, including an update conference for everyone whos working on PAT within Pfizer. This conference brings together some 250 people for six days. Two days of meetings are devoted to update presentations, and the other four, to a series of training modules on the techniques, equipment and approaches for doing PAT measurement. P.M.: Who are those 250 people? S.H. : They tend to be qualified chemists who are being asked to implement the technology, and include the managers of groups that might be implementing PAT. Recently, we were asked to train the Pfizer corporate audit group on PAT. They are realizing that theyve got to gear up to go into the plants to look at how this technology is being implemented, and audit the installations. P.M.: Are you seeing a shift in the type of person that is needed for pharmaceutical quality control? S.H. : The way of the future is not a quality control chemist in an isolated laboratory being delivered trays of samples to be analyzed. The quality control person of the future will actually be more like an auditor, assessing the manufacturing area where analyzers are installed, who checks that people are trained in how to use the system, that theyre working correctly, that the data are being used properly. So they will be very focused on the assurance function and are likely to need some process engineering training. P.M.: Is there any formal academic degree program that comes close to developing the skills required? Will the graduates for this job be chemical engineers? S.H. : They will be process engineers, who understand processes and how plants work in general. They will be experts in getting a process to work inside a specific plant, based on a firm understanding of material properties and processing. They will also need to have a broad understanding, and a wide spectrum of ideas of how things are manufactured, because some of the products in the future are going to be quite different from the conventional pharmaceuticals that we see today. The quality professional working with PAT will require a broad understanding of how process technology works  not heavy engineering and mechanical processes, but small-scale continuous processing such as the food or plastics industries would use. Process engineers and technologists would be the people that we want managing the plants, and maybe performing the quality functions. P.M.: Do you think Ajaz Hussains leaving FDA will have any impact on the PAT movement? S.H. : Ajaz has done his work well, and brought on a number of protégés. I look at the publications Ive seen from people like Moheb Nasr, and you can see that Ajaz has left a legacy thats well imbedded at FDA. Theyre looking at rethinking the way that new drug applications are processed, and you can see that the basis of what theyre going to talk about is exactly what Ajaz talked about  risk-based assessment, the scientific content of NDAs, and these types of thing. The PAT initiative will continue, because it makes good sense for the patients and for the pharmaceutical industry. Its not going to die away. Having enlightened so many people, we should not move back again.